It is no mystery that Nokia used to rule the mobile market once upon a time. 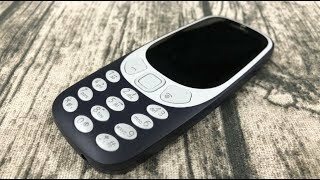 Now that the company is planning to release its very own phones soon, they are all set to bring back one of its most popular phone, the Nokia 3310. It was a feature phone with very basic features and now there will be a 2017 version to look forward to. 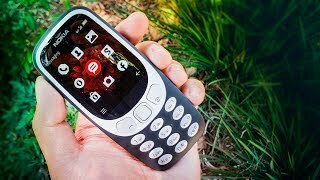 To find out more about this upcoming phone including the Nokia 3310 Nigeria price, continue reading. 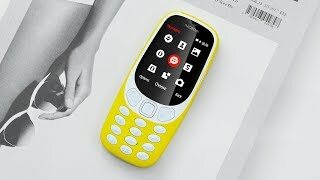 While the Nokia 3310 (2017) definitely comes with a lot of changes compared to the original Nokia 3310, it will feature a small 2.4-inch screen like old days. However, it’s still bigger than the old one and won’t be a monochrome graphic one. It will be a TFT screen showing 320 x 240 pixels resolution and 167ppi of pixel density. This curved and polarized screen will make sure you get to see things even in sunlight. Nokia tried to keep the iconic form of the original and customized it for a 2017 release. After the Nokia 3310 release date Nigeria, there will be four different colors to look out for: Grey (Matte), Dark Blue (Matte), Warm Red (Glossy) and Yellow (Glossy). This might be a deal breaker for those who mostly depend on their phones for capturing pictures. The Nokia 3310 will include a 2-megapixel rear camera with LED flash to make sure you get to take pictures if needed. However, that’s about it and there is no front camera for selfies. For those who are planning to buy a secondary phone, that shouldn’t be a problem. It doesn’t include HDR or panorama but it will get the job done when you need to take a picture. We will be able to find out more about this camera once we get our hands on this phone after the Nokia 3310 release date Nigeria. For now, there is the Huawei Honor 5C and Motorola Moto G4 Plus or the old Nokia 108 that are two budget phones you can check out. These are definitely more expensive compared to the Nokia 3310 Nigeria price as these are smartphones we are discussing here. 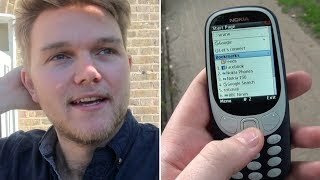 A great thing about any feature phone is its battery life and it’s the same with the Nokia 3310. According to Nokia, it will offer up to a month of standby time depending on usage thanks to the 1200mAh battery inside. It’s also removable which is not the case with most of the phones nowadays. There is a headphone jack which is another welcome addition in the 2017 version. You might be surprised to know that the phone will offer only 16MB built-in storage but it can be easily expanded to up to 32GB using the microSD card slot. Moreover, the phone will be packing the popular and legendary game Snake. For those who are interested to check out some more phones before the Nokia 3310 release date Nigeria, there is the Asus Zenfone Max 2016 and Lenovo Vibe P1. These are two smartphones that comes with a giant 5000mAh battery. 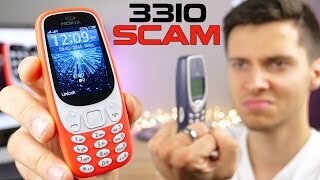 The Nokia 3310 will cost about 21700 ₦ when it’s here. 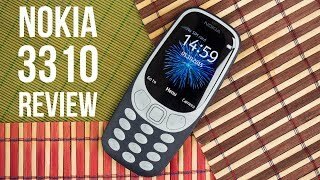 For those who are eager to get this phone, the Nokia 3310 release date Nigeria is expected sometimes in May, 2017. The 3310 Mobile Phone is manufactured by Nokia and was added around March 2017 and is part of the Nokia 3310 series. This version of the Mobile Phone comes in Color : Black , Capacity : 8 GB , Band : 3G , Display Size : 2.4 Inch , Sim Cards Slots : Single Sim , Special Features : Touch Screen , Special Features : External Memory Card , Device RAM : Less than 1 GB. The model comes in 10 other variations including combination of 3G Band , 8 GB Capacity , Black Color , Less than 1 GB Device RAM , 2.4 Inch Display Size , Single Sim Cards Slots , Touch Screen, External Memory Card Special Features. The product is sold at 5 online shops in Nigeria in Lagos,Kano,Ibadan,Benin,Abuja. 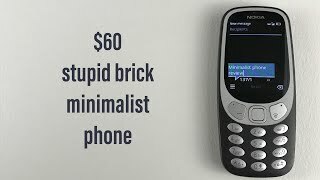 The best price for the Nokia 3310 in Nigeria is ₦ 16000 sold at Fem tech it and available with free shipping and delivery within Check store for delivery information. By comparing prices and buying from the cheapest store you can save up to 16% or ₦ 3000. 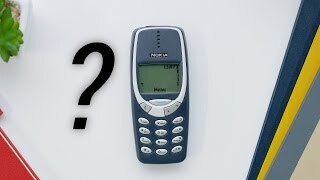 Is the New Nokia 3310 Worth It?